Azerbaijan is mostly known for its stunning people, amazing views, and vast culture: but have you ever thought about taking a trip to this amazing location before? Of course one of the best stops in Azerbaijan is Baku. It is the capital city located right on the coast which offers some amazing views, activities and cultural opportunities. 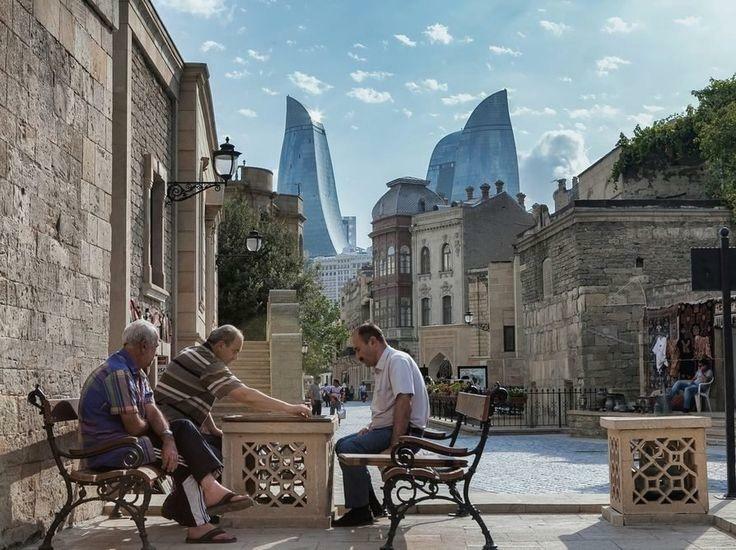 Baku is the perfect mix between a modern landscape and a historical epicenter. When walking around the city, you’ll be able to visit the high street stores, modern cafes, and the iconic Flame Towers. In the same stroll, you can make your way to the medieval walled old town containing the Palace of Shirvanshahs and the Maiden Tower. Of course make sure to stop into some of the local markets which sell all sorts of trinkets, souvenirs, and crafts. It is a perfect mix of modern and historical. The beauty of Baku is that it lies on the coastline and is graced with some lovely beaches. If you fancy a walk through the promenade you will be able to enjoy a view of the city center, a chance to visit the many attractions which lie on the seafront, and the opportunity to hop on the beach and wet your feet. Definitely make sure to visit this promenade at night as well, as you will be treated to the view of Flame Towers performing a unique light show. The main advantage of Baku, and Azerbaijan in general, is the fact that it is relatively undiscovered as a tourist spot and therefore the prices are far lower than many summer vacation spots. You can definitely get your moneys worth while also getting a very different and unique experience. On the topic of affordability, you can get top of the line accommodation for very reasonable prices. For luxury, there’s nothing like the JW Marriott Absheron Baku. It’s a top of the line skyscraper property for your visit located just by the sea, close to a metro, and walking distance to some of the main areas. If a very budget option is more your style, the Sahil Hostel & Hotel has very clean and trendy dorms from just $6usd a night. With everything going on in the last few years, it can feel almost impossible to travel anywhere but our homes during the summer. Of course you always need to practice common sense and take care, but generally the city is very safe. Most hotels and shops use security guards for that little extra boost of comfort. Walking through the city, you may get some looks, since tourists are far fewer than in more mainstream locations. However, the general people are very happy to help if you need direction or guidance. Children love the city of Baku because it offers some amazing sights, great food, and fun activities to keep them occupied throughout the day. They can enjoy playing on the beach, riding on the Ferris wheel or even visiting the theme park which is situated on the Baku shoreline. If you want a place to take your children where they will be tired out, this is the perfect place for you to go. This is a collaborative post and affiliate links may be used in this post which may give me a small commission when clicked at no extra cost to you!